BREA Photos (Portraits by Tom and Lisa Cuchara): Nicole is Expecting! Nicole is expecting a wonderful little girl -- very soon. 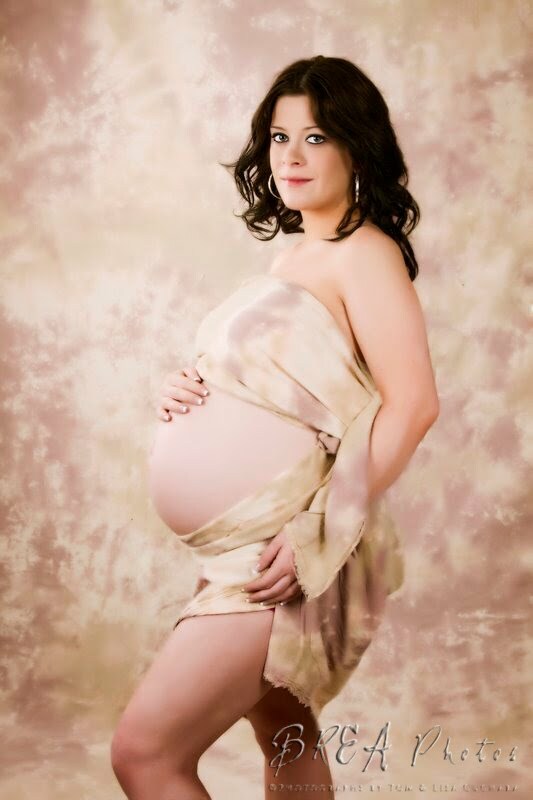 She came in for a maternity session and was just radiant! Daddy was great in front of the camera too! We cannot wait to meet (and photograph) their daughter Summer!! You can view more photographs from her maternity session here on our website. I just love these black and white images of the 'three of the them' -- wow! This is like the absolutely perfect maternity top. Black and has small sleeves and shows her belly. I wish that we could order this sweater and have it in the studio for our moms-to-be! I just love these last two! Talk about radiant! And she looks like Catherine Zeta Jones to me.